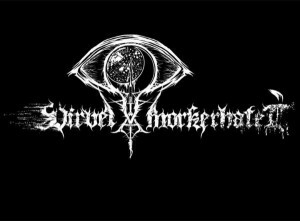 VIRVEL AV MORKERHATET was formed from the ruins of the band Den Of Winter in 2008 and in 2010 released the debut album “Forsaken Hate Sickness”, mainly including material accumulated over the years of the Den of Winter existence. In 2013 the band changed their course and started to work on the second full-length album, which was going to mark a new era of VIRVEL AV MORKERHATET.During this time band members’ ideology has totally changed and the Music turned into an avant-garde black metal with some other influences, imagine a heavenly mix between VED BUENS ENDE and DEATHSPELL OMEGA! In 2015 the band finished recording of their second album and got signed by Avantgarde Music and is now prepared to inject fresh “disease” in the nervous system of the world in early 2016.VIRVEL AV MORKERHATET is a hard atom that represents the defect of the human thought, that is multiplied by self-destruction of transcendental consciousness. Anticosmos through Black Magic.